What would it have been like to attend the first Thanksgiving with the Pilgrims and the Native Americans? What did they eat? What were their lives like the rest of the year? Discover The First Thanksgiving in a brand new way through this interactive website provided by Scholastic. Where do many of our Thanksgiving traditions come from? 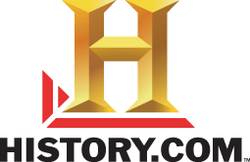 The History Channel offers some informative videos explaining the origins of such traditions as eating turkey and pumpkin pie, famous football games, and the Macy's Day Parade. How much do you know about American Thanksgiving traditions? Click on History.com to find out.